A place to preach & offer ministry in the Red/Blue divide, equipping Christians & pastors during this divisive time. When we read the Ten Commandments today, most people only think of them as a set of rules for the conduct between individuals. And most of us were taught to think about the Catechism as a morality document. But there is a revolutionary aspect to the Ten Commandments and Luther’s Catechism that people often forget or want to gloss over. Just writing the Catechism was a radical act for its day. 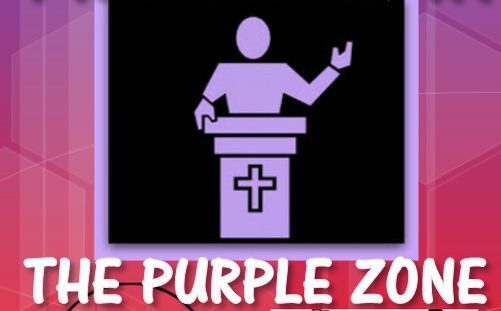 Welcome to The Purple Zone! In a society increasingly polarized and averse to respectful dialogue, our churches reflect the wide range of viewpoints across the Red/Blue divide that can entangle pastors and parishioners within divisive controversy. And yet the prophetic and Gospel witness of the Bible compels us to address contemporary justice issues. How do we listen to each other across hostile divides of red/blue politics, race, class, gender and sexuality, geography, culture, and religion? How is God speaking to us through these difficult conversations?